ChromaCast Pearl Celluloid Picks - 10 Pk Only $2.68! Down From $6! You are here: Home / Great Deals / Amazon Deals / ChromaCast Pearl Celluloid Picks – 10 Pk Only $2.68! Down From $6! 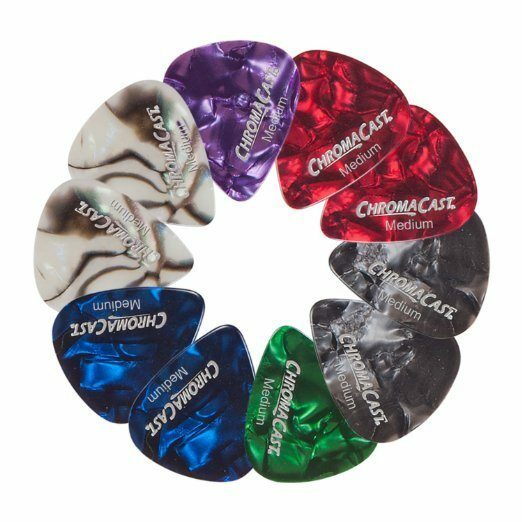 ChromaCast Pearl Celluloid Picks – 10 Pk Only $2.68! Down From $6! Great Add-on item Deal! Head over to Amazon to get the ChromaCast Pearl Celluloid Picks – 10 Pk Only $2.68! Down From $6! This item ships with qualifying orders over $25. Shipping will be FREE on orders of $35+ or if you have Prime! Don’t have Prime? Start a 30 day FREE trial!